still working into a newborn schedule and home schooling three vivacious girls. still thankful for this little guy in our life. he slept 5 hours last night...yahoo! still wondering if it is too hot to put up fall decorations. looks like we just might get the lovliness of 70 degree weather this week! still have lots and lots of layouts and projects roaming aimlessly in my head. still thankful i have a quiet (well sort of) studio to go to when it gets a bit too intense in the real world. still taking daily photos of the little mr. will be showing off some of that work soon. still reading and reading and reading. 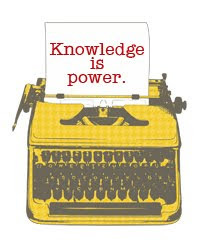 knowledge is indeed power. yea for sleeping babies, blogging, reading, and a quiet place to go :) love the changes to your blog...i don't even feel like a blogger anymore since i haven't blogged in so long. Love the new look and your fab portrait!